There are so many beautiful area's in Las Vegas to get married. We have found that the natural beauty out at Red Rock makes for some amazing photography. The colors in the rocks, along with just enough vegetation on the ground. There are a few things that you need to be aware of when booking your Red Rock National Conservatory wedding in Las Vegas. A permit is needed and times need to be confirmed. We would never want your beautiful day be ruined by a Ranger telling you that you do not have permission to be there. 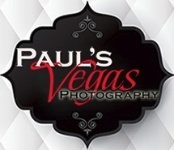 We are very fortunate at Paul's Vegas Photography to be one a few photography companies that can obtain permission with in the park. Here are a few weddings we did in the last couple of months.